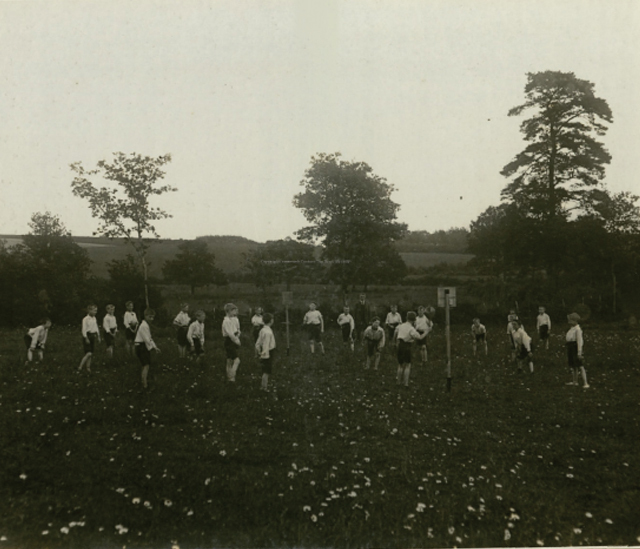 Did you know that the traditional Sussex sport was used during the First World War to help rehabilitate soldiers? Stoolball has always been a sport heavily connected with Sussex and dates back to the Middle Ages where players would use their hand to defend a wooden stool from being hit by the ball. In its modern format, it resembles a mix of cricket and baseball with a wicket comprising a square piece of wood elevated at around head height and teams aiming to score runs with the bat whilst preventing the opposition from catching or bowling them out. However, during the First World War the game was reinvigorated as an opportunity to continue the rehabilitation of wounded soldiers. Major William Wilson Grantham is, in many ways, the modern favour of stoolball. He was serving on a military tribunal in Britain with the 6th Royal Sussex Regiment when his eldest son received a serious injury on the Western Front. There were a variety of methods used for the treatment and recuperation of wounded soldiers during the war, such as military massage. The possibility for also participating in sporting activity and contest was highly appealing to the army but they were wary of games such as football, rugby and even cricket and tennis being to strenuous and physical for these men and, as a result, likely to exacerbate their injuries. In response to this need, Major Grantham pioneered an inaugural stoolball match between wounded soldiers and elderly lawyers (including himself). The soldiers ran out victorious. Following the success of the match, Major Grantham began organising regular games in Sussex for injured soldiers. Such was the benefit of the sport it was played by both wounded soldiers and children at the St Nicholas Home for Raid Shock Children at Chailey Heritage.